This Old Life: A Duchie Award For Me, and A Coupon For You! Thank you! 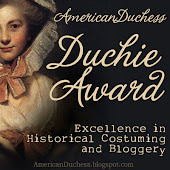 Some time back Lauren also nominated me for a Duchie award but I had no idea what it was, or what to do. You made it quite clear for me. Thank you Nabby! My first blog award – this is very exciting! I feel absolutely honored. I have a 3 year old boy myself. Before he was born I stocked up on Jacadi on sale for a while but now I can't catch up! I need to start hunting down vintage clothes for him too, but how is a mommy to have time?! oh yes please, I would love to see your little vintage boy! I had so much fun dressing my daughter, but ACK my son. I did make him a little John-john suit. ANd then I had visions of a seersucker shorts suit, but I ran out of time. Can't wait to see what you did! 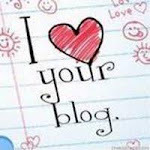 Hi, I found your blog via Lilacs & Lace. Love, love your sewing :-D And I'm so incredibly happy to come across another Poirot fan. You're very welcome :) Much deserved! I love your creations! Loved reading your 5 things, too. Ditto wanting to see pics of your little boy!